1.00 The purpose of this policy is to provide guidance on the display of flags at the University. 2.00 This policy applies to all flags flown on or in front of Wilfrid Laurier University buildings and campuses, as well as those on display at convocation ceremonies. 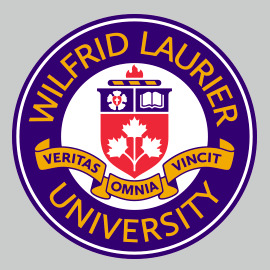 Flags on Wilfrid Laurier University campuses shall be displayed in accordance with flag etiquette in Canada as outlined by the Government of Canada (Heritage Canada). The University will normally fly three flags, namely, the national flag of Canada, the provincial flag of Ontario, and the Wilfrid Laurier University flag. When flown together, the national flag shall be flown on the center pole and the provincial flag on the left. Other flags may be flown at the University when approved by the President. Notification to Physical Resources regarding when flags should be flown at half-mast shall be the responsibility of Communications, Public Affairs and Marketing (CPAM). Or at other times as directed by the President.